This Brazil flag face painting template helps to virtually draw a yellow rhombus on a green field on your cheeks. Show your huge support for the Brazilian national football team, the only team to have participated in every World Cup! Brazil are the kings of football! That’s why their national football team is the only national team to have played in all FIFA World Cup editions! 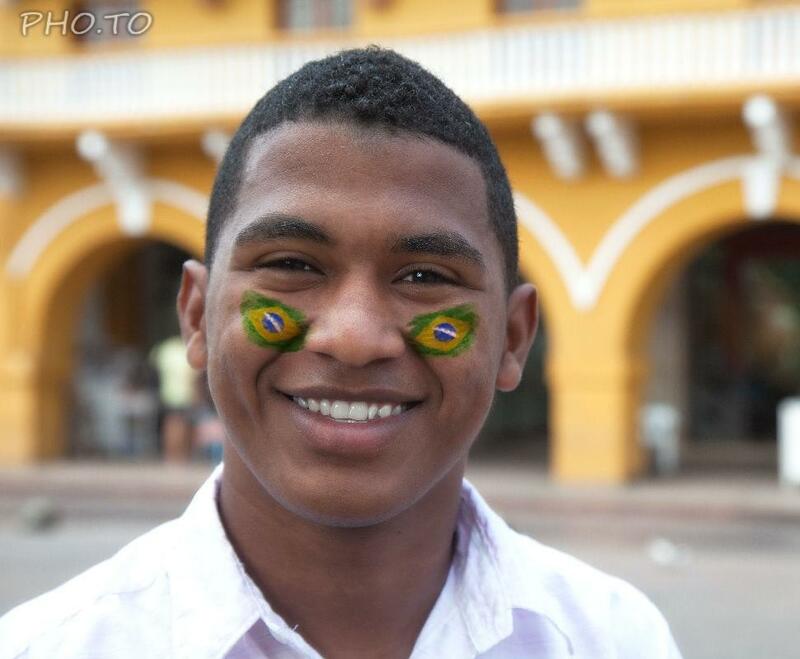 If you are a true Brazil football fan and you want to express your whole-souled support for Brazilian soccer players, just upload your facial photo into ‘Flag of Brazil’ template. Here it takes only a few seconds to make a patriotic profile picture for Facebook, Twitter, Instagram, etc. ‘Add text’ feature allows to add a custom text to your photo effect. This face painting template with Brazil flag is like a graphical way to chant "Eu sou brasileiro, com muito orgulho, com muito amor". And it can be used for any sports competition, not only the FIFA World Cup face paint, the Copa América or Olympic football tournament. 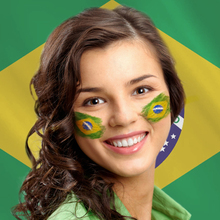 Brazil flag face paint is added automatically by Funny.Pho.to as soon as your face is detected on a photo. Among our online flags collection you can find virtual flag face painting templates for many other countries.